・Nippon Expressway Research Institute Co., Ltd. When an expressway is planned for an area of significant natural beauty, roadside banks is regarded as an important place to measure for conservation and to minimize the impact, conservation of flora and fauna. Landscape in expressway using of indigenous seedlings is developed as a practical system of regional nursery that consisted seed, nurture seedlings and vegetation of bank. Indigenous seedlings are grown using seeds of trees local to the area. This approach promotes biodiversity by maintaining local flora at the genetic level. The seeds collection and planting seedlings contribute to regional alliances and environmental education as leading to the active participation of community residents. ・Panasonic Environmental Systems ＆ Engineering Co.,Ltd. There have been increasing cases where environmentally friendly tunnel structures are being adopted to the Metropolitan Expressway Network construction. The road tunnel structure needs road tunnel ventilation system for incoming traffic safety and comfort. However , there has been a concern about an environmental impact on the buildings adjacent to the ventilation station since the road tunnel ventilation system expels road tunnel air intensively at its ventilation station outlets. 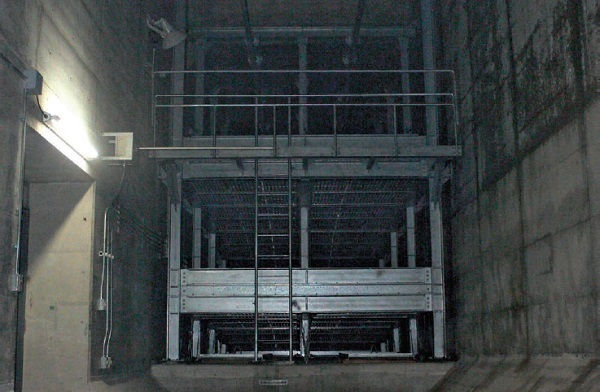 In this project, the new NO2 removal system for the road tunnel was introduced into narrow ventilation station of Tokyo Metropolitan Expressway. ・East Nippon Expressway Co., Ltd. Whenever we use inorganic chemical flocculant and/or synthetic polymer flocculant in processing the turbid water at the site of civil engineering works such as tunnel or dam construction, we have to take utmost care not to affect water creatures adversely by the discharge of the treated water. In this project, we paid attention to use chitosan flocculant as flocculating agent, and tried to develop a turbid water processing technology that realizes harmony with natural environment. Furthermore, we tried to make an effective use of the dewatered sludge cake as vegetation base material. We, additionally, confirmed that the cost of this system is equivalent to those with conventional flocculant and we expect that the system contributes to the reduction of the industrial waste disposal cost. With those significance we are convinced that we deserve this environmental award. 4. The using method of industrial waste for forest ecosystem by the recycle technology, "Taihi-Suttle"
The characteristics of recycle technology of this project are changing the dehydrated mud and biomass to the high quality soil for greening by fermentation. We succeed in increasing the green area and decreasing the amount of waste under construction with this technology. This method is very useful for the restoration of forest ecosystem and the effective utilization of resources. 5.The resolution project of dioxins contaminated soils at SHIN-WADAMISAKI pump place. With dioxins (maximum density 3,000pg-TEQ/g level) and the low polluted bottom sediment (about 500pg-TEQ/g). This project separates the accident resolution organism from the bottom sediment by touching the superheated vapor from 200 to 1000℃ to the contaminated soil, and develops, and is execution by the technology that processes the gasified contaminant. 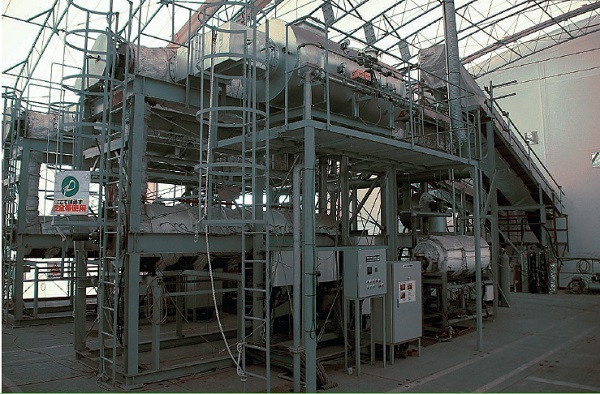 The gasification device that used the superheated vapor was divided into three stages according to the temperature, the improvement of the processing speed was achieved, and the processing of a large amount of bottom sediment was enabled. As mentioned above, it was evaluated to have developed the first large scale detoxification processing of dioxins polluted sediment in our country. 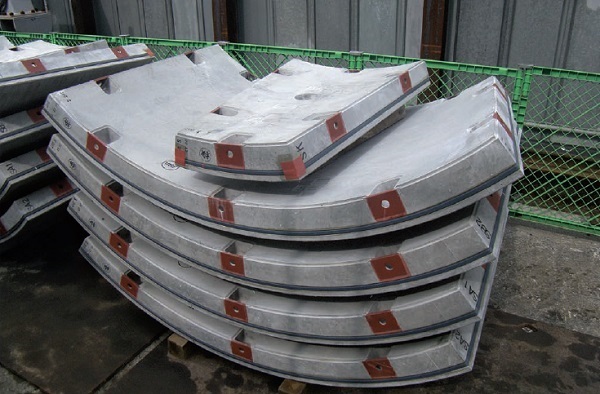 Shield tunnel segments are classified into RC or metal types. RC segments are economical but have relatively low bending capacity and shock resistance. Therefore, usage in small diameter and internally pressurised tunnels is limited. Metal segments have high CO2 emission during production and are costly. Bending capacity of RC segments was successfully enhanced by adding PET fiber to the RC segment, thus facilitating the usage of RC segments for small diameter and internally pressurised tunnels. Together with cost reduction, reduced environmental impact through lower CO2 emission and recycling of PET material are the reasons for this Project being eligible for the Environmental Award. The high-performance methane fermentation system without additional dilution water was developed for fishery and food wastes. 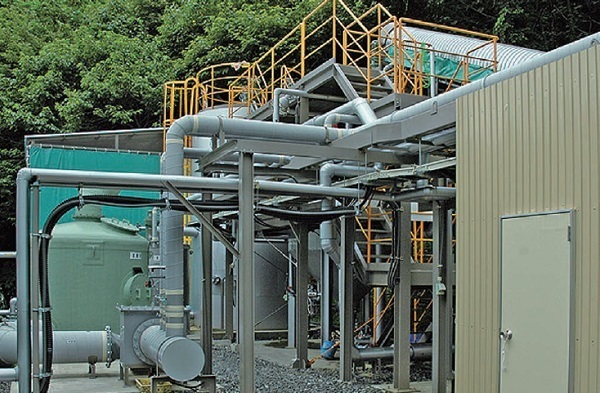 For the high performance of methane fermentation for food waste without additional dilution water, the accumulation of high concentration of ammonium ion in the fermentation tank, which is produced by the degradation of proteins in food waste, is the main inhibitor to reduce the yield of methane production. The newly developed system has two additional processes, namely microbial ammonium production system and chemical ammonium removal system before the methane fermentation, which resulted in low nitrogen loading rate. It is the first test plant to verify such methane fermentation system for the practical use. 1. 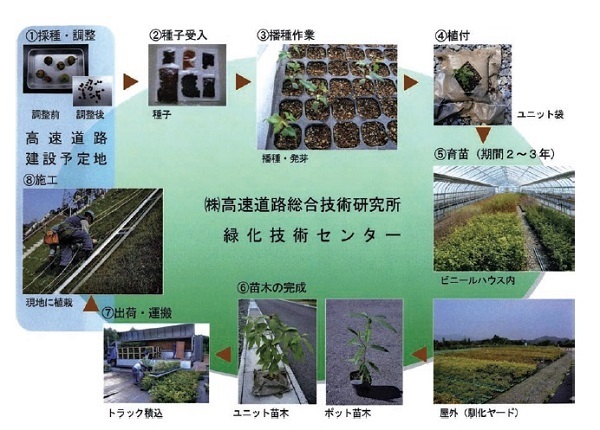 Development of Slope Protection Technique Using Recycling Tatami-mat and Afforestation for High Biodiversity. 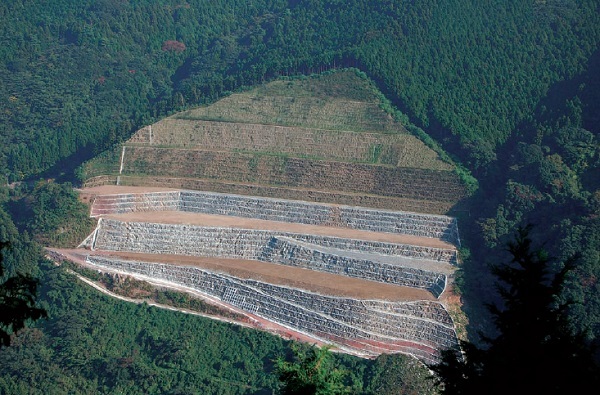 The base formation using thick-growth-media has been widely used for the protection of cut slope. However, there was an ecological problem because it used nonnative plants. The afforestation with high biodiversity by the ecologically-based plant allocation method and the slope protection technique that assists in growth of sapling in time were developed. The point to have considered time axis by the collaboration of the civil engineering and the forest ecology deserves high evaluation. 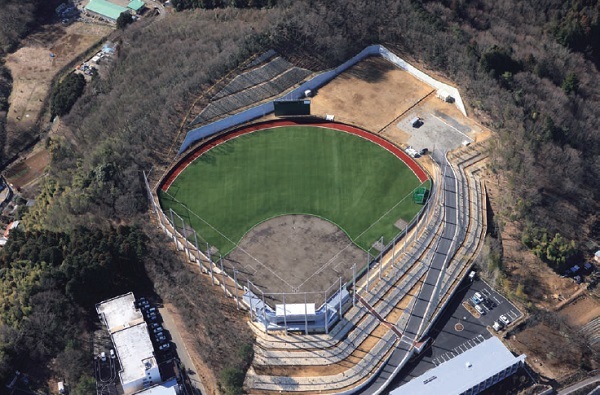 Furthermore, the slope protection technique using recycled tatami-mat can be expected to be useful as a modern green engineering. This prize has been awarded for the effort of tacking an important research of the civil engineering technology and biodiversity with an excellent view point.